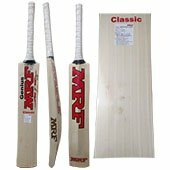 Cricket bats are made of willow clefts with manual or automated processed in order to get the perfect cricket bats. 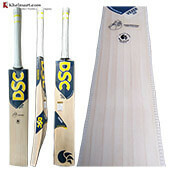 While you chose the cricket bats it is important to understand the parameter on which you will select the bat. 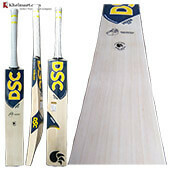 In this user guide we shall explain the cricket selection parameters in details. 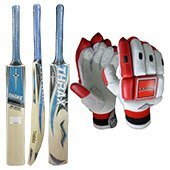 Willow Type: There are two types of willow available for manufacturing the cricket bat (leather ball). 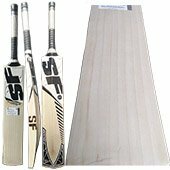 clefts are imported from UK and it is best suited willow for making a high quality English Willow bats. 1. It is very lightweight in Nature. 2. It provides good surface for leather ball. 3. Its give good sponge and ping. 4. 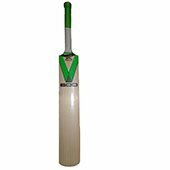 Grains in English Willow are clear and straight. 5. It can be press easily. Kashmir willow is originally found at J & k State of India. 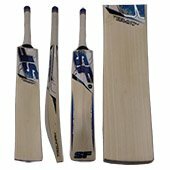 It is also provide good batting face and easy to press however as compare to English Willow, it is bit heavier in nature. 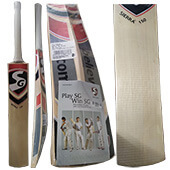 English Willow Cricket bats are used by club and international cricketers. 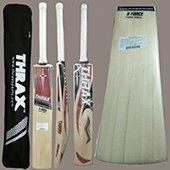 Bat Size and its selection is depends on player height and age. 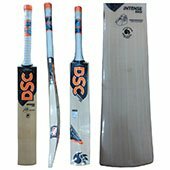 If a player is having height more than 5 Ft 7 Inch, than he should select the full size cricket bat. 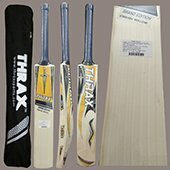 Below Mention table shows the matrix of cricket bat and its sizes. 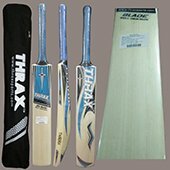 To maintain the accuracy and consistence of cricket bats, ICC has standardized the width of Cricket bat and manufacturers have to produce the bats according to standard dimensions. 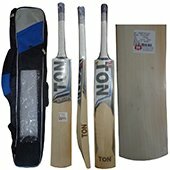 Based on playing style of cricketers, Bat handle are destined. It can be classified into two categories. 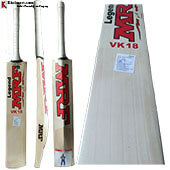 For player having height more than 6 ft, it is recommended to choose bat with long handle. 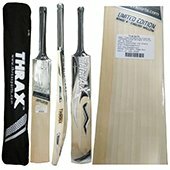 Long handle gives more bat swing and results into more power on shots. 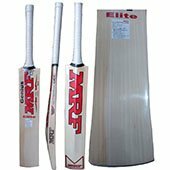 Short Handle is considered as standard one and recommended for player height less than 5 Ft 10 Inch. 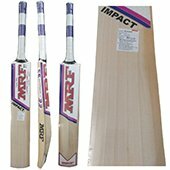 Junior Cricket Bats: The Size of Junior Bats Vary from size 1 to size 6. 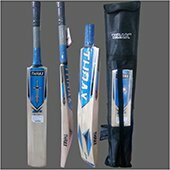 It is important and recommended to refer above mention table while chose the junior cricket bats. 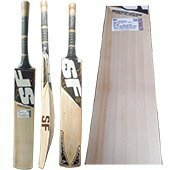 This table will help young cricketers to choose right cricket bats size as per players age and height. 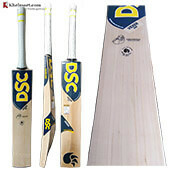 Bat Weight is very important for cricketer as its impact the performance of player up to a great extent. 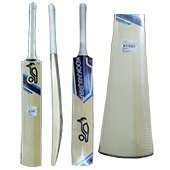 Its recommended to take heavy bat if you like to player big shots at long on and long off. 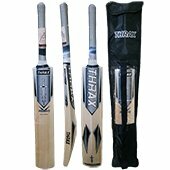 Heavy bat gives more power on shots however with heavier bat it is difficult to swing it. 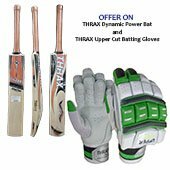 While with light bat, player can easily perform cut, pull and drive shots. 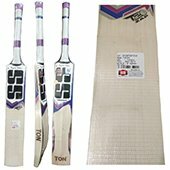 Lightweight bat profile will allow you to perform more manipulated shots. Based on weight bats can be classified into three categories. 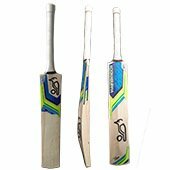 Heavy weight cricket bat will have extra bat swell which results into destructive power on shots. 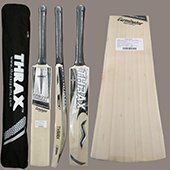 Nowadays with latest technology, manufacturers are making unique bat shape in order to increase the bat swell by controlling the bat weight. 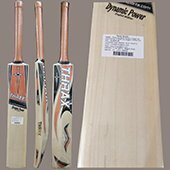 These types of bat will have more power without increasing the weight of the bat. (2) Bat grains looks like little embossed on bat surface. (4) Grains should be in equal distance from each other. (5) Grains should be straight. Bat grains depend on willow quality and how farmer treated the tree. Long age tree will give you more grains. 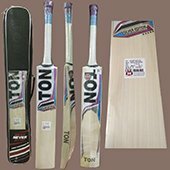 Grade One willow will provide you best willow and grain profile. 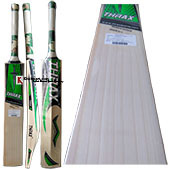 Grade one and two willow is the best willow but it is not necessary that it will play good. 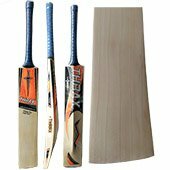 Grade one willow will have straight grain on face and 5 grain will be visible on face. 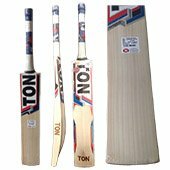 For a perfect cricket bat if manufactures are using grade one willow then its important that there should be no knot on playing area. Grade 3 willow is also a good quality willow type. 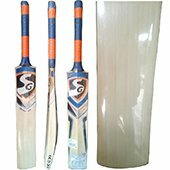 It is a bleached willow which is having the half color on bat but there is no relation of color of willows its playing ability. The grains of grade three willows may not be perfectly straight. This willow consists of 4 numbers of grains. There will be some small knot may visible on willow face. Grade four willows is bleached willow which is having half color. 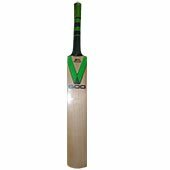 This type of willow could have any number of grains If a bat is having less than 6 grains then it will called as wide grain bat. If a tree is grown faster then it means it will give narrow grain willow. Profile or shape of the Cricket bat should be chosen careful which suits your playing style. 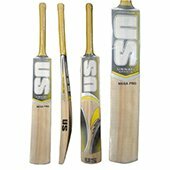 it is recommended to choose traditionally designed shape with mid to low sweet spot if you are a entry level or beginner player. 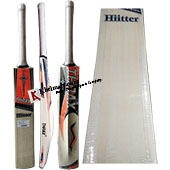 For hard hitter, players needs to chose bat with extra thick edge and large bow. This kind of profile will give additional power and swing to bat for making good stock. 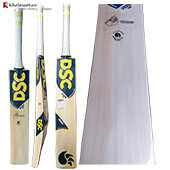 Position of Sweet Spot in a Cricket Bat is very critical because it is decide the playing style of cricketer. 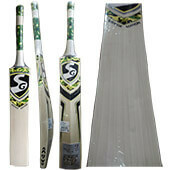 A low sweet spot means, it is closer to bottom to cricketer bat. 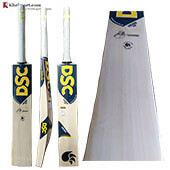 This profile of cricket bat would be suitable for front foot drive. This shape is normally common in traditionally designed bats. Higher Sweet Spot Mean, Position of swell will be away from bottom of bat. This gives additional power when ball hits bat higher up. Normally this profile will be suitable for players who like to play cut and pull shot.